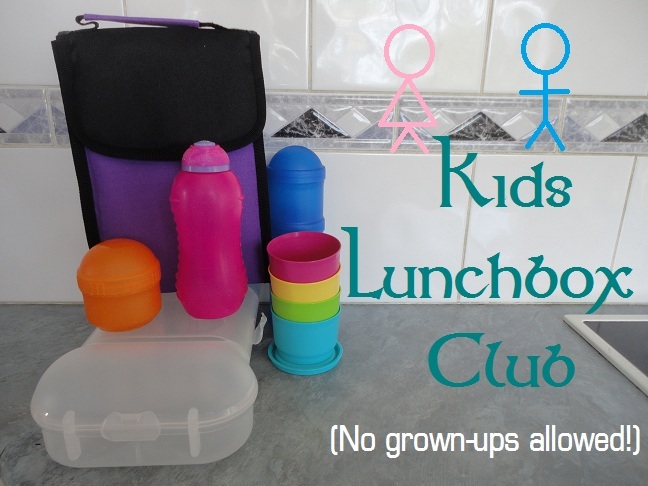 A wonderful sugar free treat for your kids (or your own) lunchbox. 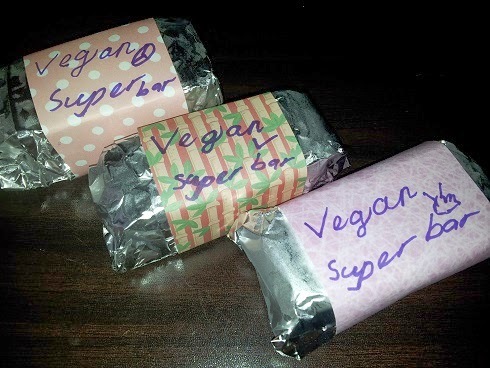 These bars are super easy to make and they are really tasty. If your school is nut free then just substitute seeds as needed. Blend the tofu, maple syrup and apple sauce together until smooth and creamy. Smash the nuts. I find it easiest to do this in a sandwich bag, using a 'meat' mallet. 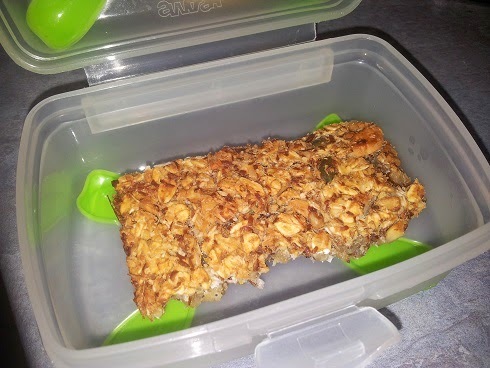 Combine the oats, nuts, seeds, coconut and tofu mixture together in a bowl and stir until well combined. Pour into a lined 20cm x 30cm lamington tin. Bake in a preheated 160C oven for 40-45 minutes until browned and mixture holds together. Makes 14 pieces (depending on the size you cut them too). Submitted to Meatless Monday - Tofu cooking. I don't know about where you live, but currently in Australia, the latest 'fad' to show up in your facebook news feed is the "naked selfie". Now, no I don't mean naked as in no clothes, naked as in no make-up! This is supposed to raise "awareness" for breast cancer and the idea behind it was that if you posted a naked selfie then you would donate a dollar for each 'like' you received. I wanted to express my feelings about this on my blog and people can choose to read this or not read it as they desire! 1/ It seems to me that our society is perfectly 'aware' of breast cancer already! Is awareness about this illness really what is needed??? Perhaps what is truly needed is an 'awareness' that this illness is not only preventable but in most cases also reversible through a whole food plant-based diet! Why aren't people hearing this??? Is it because they don't want to truly know? Is it because people hope for a magic 'pill' because it's not convenient for them to consume health bringing food? I don't know all the answers - all I know is that it saddens me that this message isn't getting through to society. I wonder how many women have lost their lives too early, when had they received the proper information they could have spend many more family Christmas' together. They could have removed this illness from their life and bought health & healing to other's in their family too. Why are our doctors not knowing there are options that are far more effective than the medical treatments that are still used knowing that they do not really help these diseases at all? I can't imagine the heart break that it would be to loose someone to an illness like this. I wonder how many would be willing to change the way they ate if they knew it could give them hope! They should at least be given the correct information to have the right to choose! I feel so SAD that this women aren't told what can help them. Many of them won't know of their own accord and they are left in the hands of doctors who aren't at all trained in nutrition and it's powerful affect on illness. 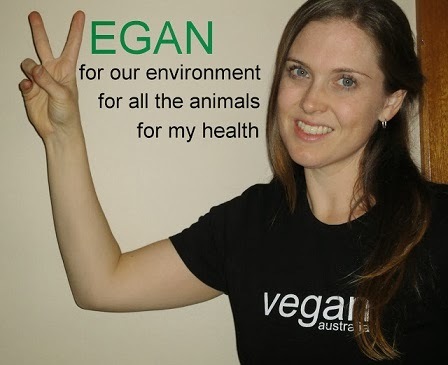 In my own plant-based journey I have had the wonderful privilege of knowing two woman who have actually chosen to NOT go through with traditional medical procedures and chosen to use a plant-based diet to treat their cancer. Both of them are still alive and completely cancer free after 7-9 years. NO MEDICAL TREATMENT! 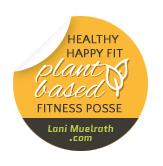 Purely treated with the power of a plant-based diet! 2/ I doubt there are too many people who are truly posting with the intention of donating money. And I don't intend to donate money for each 'like' that I may receive. It seems to have become more about getting positive comments about looking beautiful even without make-up or the people who post about how nervous they are due to acne or scars then receive bountiful comments on being 'brave' etc. I personally don't believe that too many of these cancer organisations spend their funds wisely either. They are no closer to offering a 'cure' than they were twenty/thirty years ago. I am someone who finds it both disappointing and frustrating when to give a one-off donation I then find myself constantly on the 'mailing list' and get so many follow up letters with pages and pages of colorfully printed 'advertisements'. Surely the funds that have been donated could be put to better use! But that is my opinion and I appreciate that others may feel differently about those mail outs and these organisations. 3/ As a Christian, I don't believe it is helpful to fear illness! Yes, there will always be sickness on this earth. We live in a fallen world and it won't be right until Jesus returns. And yet many of us still fear death. Yet as Christians we have a hope that is beyond the grave. So, a life that comes into contact with illness does not have to be a life that is not valued or won't be wonderful! We aren't left alone in any of our struggles through life when we have Jesus on our side. I have not written this with an intent to offend anybody. I understand that this can be a 'touchy' subject for many people. I have people very dear to me who have been affected by breast cancer. This is a devastating illness and it hurts families so much. Please understand that I have not written this to criticise those who have lost dear ones to cancer (or any other illness), nor to be 'blaming' those struggling with the illness. I have written this with the genuine HOPE that it could help someone! That the links above may bring some new insight that they have not otherwise heard about! Women NEED to hear the truth & be given the option to help themselves! 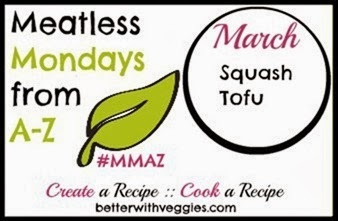 Today's Meatless Monday ingredient is Tofu. Tofu is often an ingredient that people look upon with frowns! I have to admit that I their have been times when I'm had tofu dishes that are just not that tasty! It's important to remember that tofu will take on flavours from what it is cooked with and by itself it quite bland. Here's a great way to use tofu and make it really tasty! Bring a large pot of water to the boil. Add the gnocchi and the broccoli cut into small florets. While the gnocchi is cooking prepare the sauce. Place the basil, drained tofu, nutritional yeast & garlic in a blender or food processor and blend til smooth. You will be able to see when the gnocchi is cooked because it will start to float. When it is cooked, drain. Return gnocchi and broccoli to the pot and stir the sauce through til evenly distributed. Heat for 2 minutes until warmed through. Serve with freshly cracker black pepper. Do you enjoy eating tofu? If so, what is your favourite flavour to combine with it? I love the simplicity of these veggies! They can be prepared in advance and they aren't hard work - a little bit of chopping and coating and then the oven will do the rest of the work for you. The idea comes from the much loved flavour of honey & mustard, yet obviously excluding the honey. 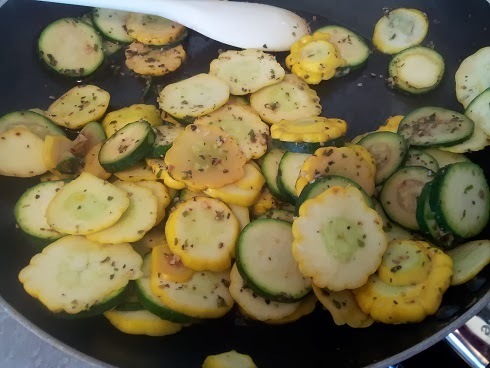 They make a great side dish with roasts, or BBQ's, or simply to add veggies to your regular meals. Chop all the veggies into desired size. Pour into a big roasting dish. Pour veggie stock over the veggies until 1cm deep in the dish. Sprinkle with 2 teaspoons dried thyme leaves. Bake at 200C for 45-50 minutes til softened. (Time will vary depending on size of chopped veggies). Do you enjoy the flavour of sweet & sour together? 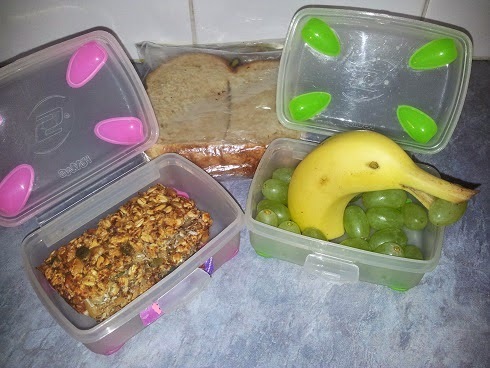 To be honest - this is what I ate on Tuesday.... last week! I am particularly in love with making 'pizza' like this. 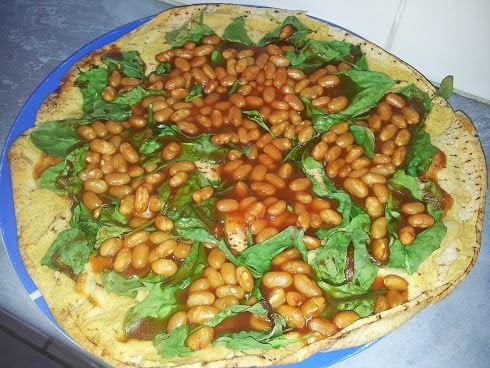 Smoother a piece of lebanese bread with chili flavour hummus, top with piles of fresh baby spinach leaves & pour on a mini can of BBQ flavour baked beans. Bake for 15 minutes - OH MY YUMMY!!!!!!!!!!!!!!!!!!!!!!!! 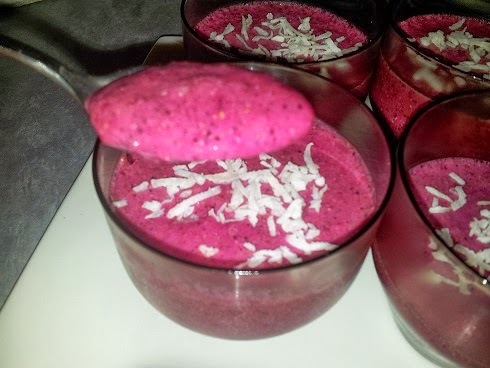 Dragonfruit & Chia Pudding that we had for dessert! 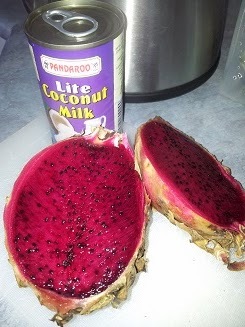 Remove the flesh from the dragonfruit and place in a blender with all the other ingredients. 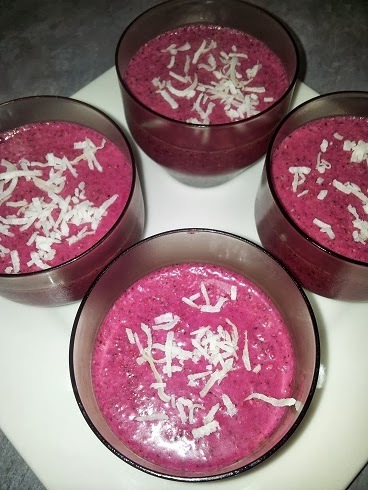 Pour into serving dishes and refrigerate for at least 1/2 hour. Store in the fridge til ready to serve. 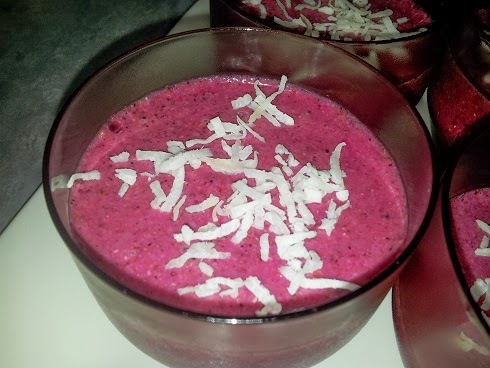 Have you made a chia pudding before? What is your favourite flavour? In America the word "squash" would be the equivalent to our "pumpkin" here in Australia, but since I already did a pumpkin post for Meatless Monday, I decided to do a true Squash post. Saute over high heat with a splash of veggie stock to stop from sticking. Sprinkle with a teaspoon of each: granulated garlic, dried chives and dried parsley. Serve as a side dish to any main. 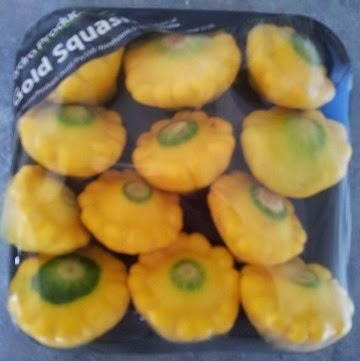 I must admit that squash is not an ingredient that I buy regularly. However I do enjoy eating it - especially when it's not overdone. I like it to still have a bit of crispness left in it. Do you enjoy eating squash?